Many Americans use these words interchangeably, but they are not the same thing. The license is a legal requirement of the US government, the visa is a Cuban Government requirement. You can read about the general license here. NOTE: ALL CUBAN BORN CITIZENS REQUIRE A SPECIAL VISA. Visit the Cuba embassy website or www.cubatravelservices.com for more information. 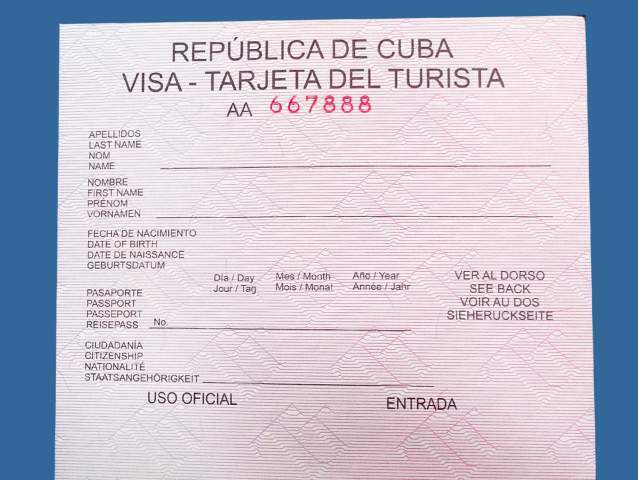 The Tourist Visa (or Tourist Card) is required by the Cuban Government by travelers from nearly every country, it is not at all specific to US travelers. If you are flying through a third country in Latin America or the Caribbean (e.g. Mexico, Panama, Cayman) you can purchase your visa at the airport during check in for your flight to Cuba. The cost is approximately US$25-30 and can sometimes be paid with credit card in addition to the local currency. Check with your airline. 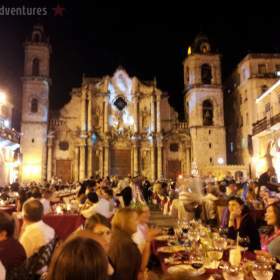 We can assist you with flights to Cuba from Cancun to Havana including visa. The cost for the visa is US$55. If you are flying from Canada or Europe, check with your airlines. Sometimes the visa is included with the flight. If you are flying directly to Cuba from the US (e.g. Miami, Tampa, NYC, LA) the airlines will provide you the visa or tell you how to obtain it. Most will sell it at check in for US$50-100. Others are serviced by Cuba Travel Services and can be purchased in advance online here. You should always check with your airline's website on how to obtain the visa. Visit our flights to Cuba page for additional information about US airlines and visas. You can purchase your visa through a third party servicing agency such as www.cubavisas.com. We have heard of cases where the visa has not arrived on time, so please check the lead times carefully. The visas provided by this company will not be accepted if you are on a non-stop flight from the US as the visas look slightly different (see above)- you must have a pink colored visa if you are flying from US and this company sells only green visas. The cost is approximately US$30-45. You may also be able to get the visa by contacting the Cuban Embassy in Washington D.C. We haven’t heard of any of our travelers doing this, but if you've tried it, we’d love to hear your experience.